Nothing beats the versatility of the human body. As a result, for the Paraflex, we let ourselves be inspired by the manoeuvrability and strength of the human arm. A space-saving solution, without a base and without a pole, which offers you the possibility to create shadow wherever you want it, by means of one, two or more umbrellas, according to your needs. 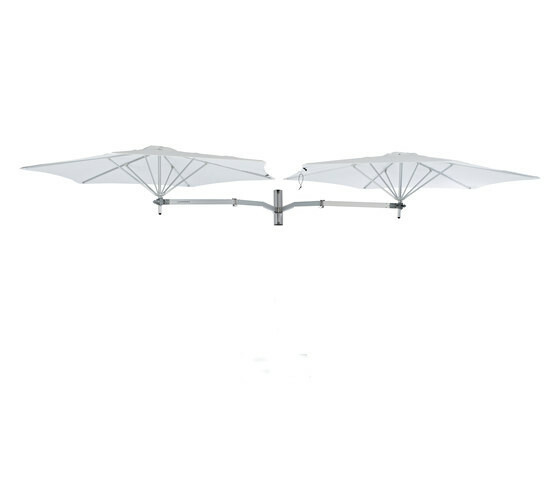 The light and compact Paraflex offers maximum shade and is highly wind-resistant. Available in both the Square and Round shades.